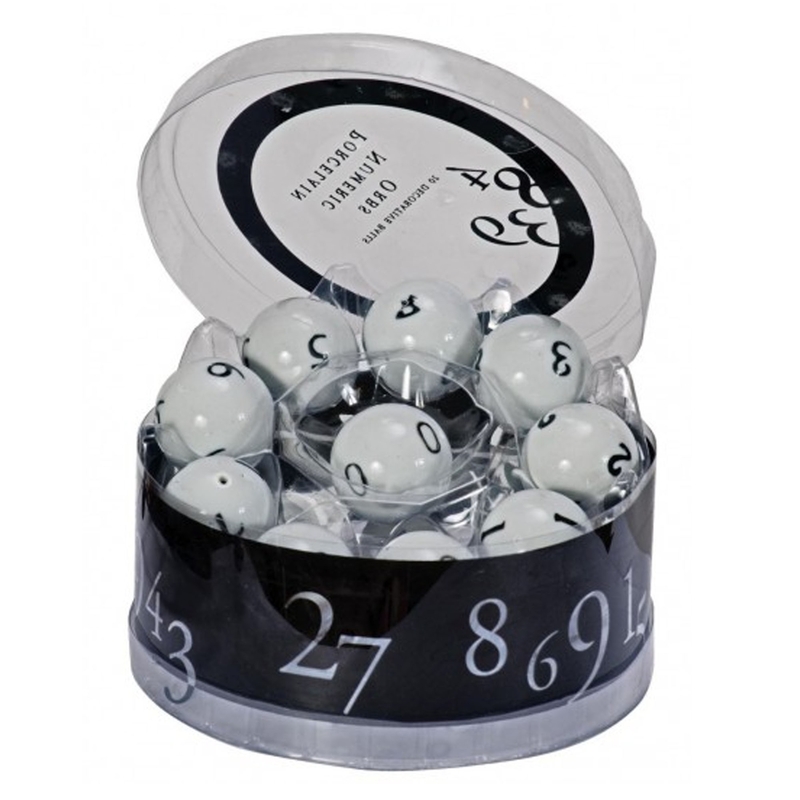 This is a magnificent set of ceramic, numeric balls. There are a total of 20 balls, 10 of which are large and 10 of which are small. Both the large and small balls have numbers that go from 0 to 9.